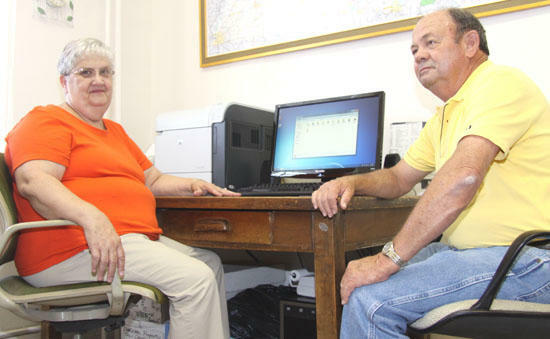 A computer system is the latest addition to the Cannon County's Trustee's Office. Trustee James Maxwell, right, and office secretary Brenda Mullinax look over the system Friday morning. The computer system that was to have been installed in the Cannon County Trustee's Office in July has arrived over two weeks early. On June 17, computer technicians from Local Government Corporation of Columbia, Tenn. began the installation of the new system in the office of Trustee James E. Maxwell. The central hardware system was ordered by Trustee Maxwell and will be paid for with funds ($3,693.06) from his office's current 2009-2010 yearly budget. The new system is capable of handling up to five workstations. Through negotiations with LG Corporation, Trustee Maxwell was able to obtain $5,755.20 worth of free computer software to implement the beginning operations of the system. "This represents a substantial savings to the taxpayers of Cannon County," Maxwell noted. 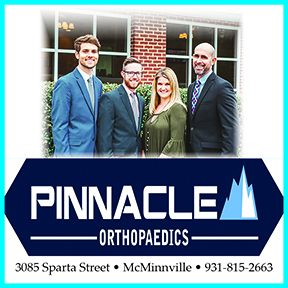 Once the system in completely installed, technicians from Local Government Corporation will be providing several sessions of training for Maxwell and his office secretary, Brenda Mullinax. "I am extremely proud to be ending my two terms in this office by adding this new technology to the Trustee's Office, and hopefully it will provide many years of quality service to the taxpayers of Cannon County," Maxwell said. Congratulations James. Great job on obtaining this needed improvement to the trustees office. I understand this computer will be able to handle all accounting functions and be online to improve office management and communications. One less thing for us candidates to have to promise or debate its possibility, cost, need, etc... Now voters only need to make sure their next trustee is able to handle the offices day to day business while meeting the challenges created by the conversion to an automated system. Congratulations to the Cannon Co Trustees office. How many Millions of our tax dollars have flowed through this office on hand stamped receipts and ledgers. I hear of this new invention coming soon, its going to be a phone you can take anywhere.. Cell Phone? ?